Product prices and availability are accurate as of 2019-04-06 16:02:22 EDT and are subject to change. Any price and availability information displayed on http://www.amazon.com/ at the time of purchase will apply to the purchase of this product. Like options? The ERIA Extended Color 800-lumens BR30 offers a range of over 16 million color combinations along with multiple white tone (2000~6500K) settings to let you choose whichever color or shade you need to set the mood. Easily controlled with your smartphone/tablet, or even with voice commands through Amazon Alexa or Google Assistant. Simply use with a ZigBee compatible hub/bridge such as the AduroSmart ERIA or Philips Hue. 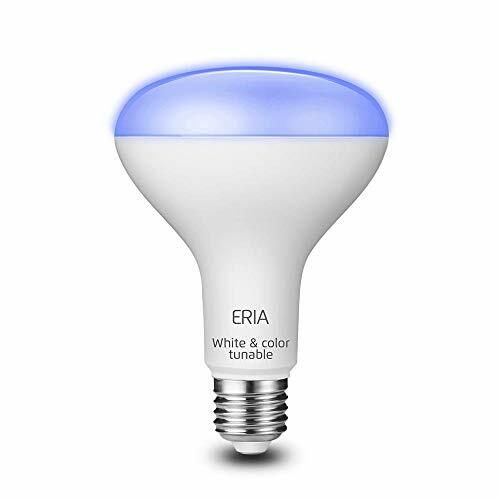 Wirelessly Dimmable: Wireless controlled dimmable BR30 bulb compatible with ZigBee certified platforms such as AduroSmart ERIA, Philips Hue, Sylvania Lightify and more. 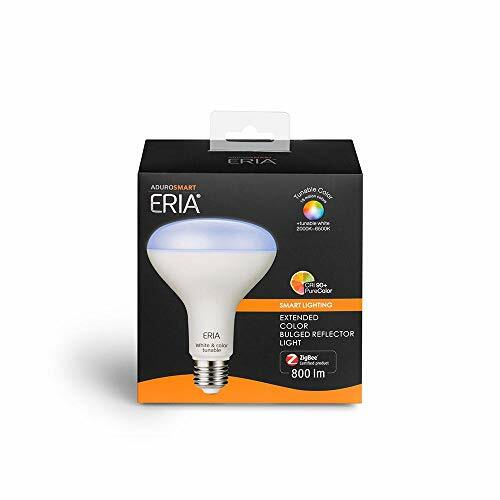 Add the ERIA Wireless Dimming Switch and control your lights effortlessly from anywhere in your house. Voice Controlled: Voice controlled with Amazon Alexa and Google Assistant. Can be used with Smart Things if paired to a Philips Hue hub. Fully compatible with Amazon Echo Plus without needing a hub. Colors and White Shades: Choose from over 16 million colors and a wide array of white shades with this complete RGB light. Pick any color to set the mood, or if you feel like having a little fun, use the included disco feature. Or set scenes and timers to simulate natural lighting to promote your circadian rhythm. Plug and Play: Easy to install and easy to use. A19 bulb can be easily screwed in and paired for ease of use. Add more devices to further extend your smart home ecosystem. Add and do more using IFTTT. 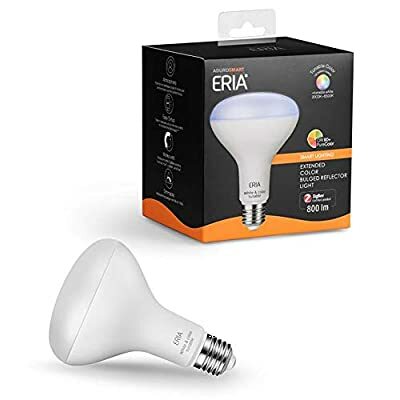 Energy Efficient: Save energy with these highly efficient 65W equivalent bulbs.